Ciao Bella Winery is a family owned and operated vineyard and winery in West Kelowna, BC. We are proudly producing award winning Okanagan wines with Italian flair. Our patriarch, Luigi and matriarch, Melina hail from sunny southern Italy in the province of Napoli. Luigi grew up on the family farm near Napoli while Melina grew up in Somma Vesusviana, renowned since ancient times for the fertile volcanic soils of Mount Vesuvius producing the most beautiful grapes and wines. 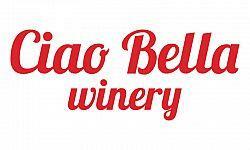 This is where our Ciao Bella Winery family story started, along with our love of family and wine shared at family gatherings and eventually bringing this passion to the beautiful Okanagan Valley.